Na domačo stranPoročanje v živoSeznam poker turnejWSOP2017 World Series of PokerEvent #44: $3,000 H.O.R.S.E. Less than three hours into play at the final table, Matthew Schreiber remained the last man standing in the Event #44: $3,000 H.O.R.S.E. tournament. Schreiber waltzed through the final table in a lethal fashion, earning the $256,226 first-place prize along with his first bracelet. 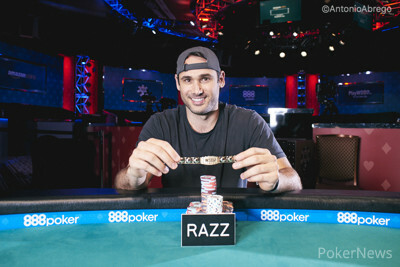 "It feels surreal," the newest WSOP champion said. 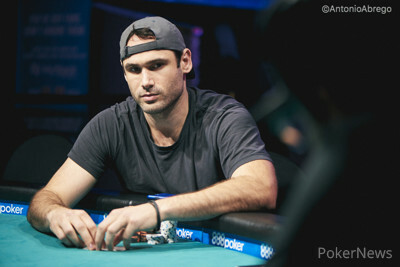 Schreiber came back for the final day sixth in chips with 18 players left in contention. It was a day of fast-paced action, but Schreiber wasn't looking to be the main man. He doubled Mike Matusow inside the last two tables and dropped to a short stack. However, Schreiber got some wheels thereafter and vaulted into the chip lead just in time for the start of the nine-handed final table. Schreiber conquered the finale with decisive force, extending his giant lead into the dinner break. There were four players still hoping to claim the gold at that point, but it took Schreiber less than an hour to deny all of his three opponents early after dinner. "Obviously, it was a difficult field," Schreiber said after he'd posed for the winner photos. "I didn't play well at the start of the tournament, but once I accumulated some chips, I played well," he admitted. There was a moment early on the final day when Schreiber exchanged some words with Valentin Vornicu. Apparently, Schreiber got lucky in a stud hand against the nine-time WSOP Circuit winner, and Vornicu got a little bit salty. "I can play three of the games well. I don't know the others," revealed a humble Schreiber without trying to hide his weaknesses. Schreiber confirmed that in the post-tournament interview. "Although I play a lot of mixed games, I play cash. I'm very inexperienced in stud and hi-lo," he said. These two blind spots didn't prevent Schreiber from reaching glory in one of the most complex tournaments on WSOP schedule. His dominating performance at the final table was breathtaking. Schreiber kept rolling, and it seemed he couldn't lose any pot he contested. 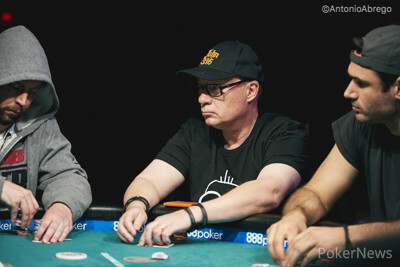 Mike Matusow, who fell shy of the final table, was the only player who was able to find any fortune playing against Schreiber. He stated he'd doubled through Schreiber three to five times during the tournament, calling him his friend. Schreiber, however, outlasted everyone, including Matusow, who'd been the main story until his fall in 11th place. Matusow's inimitable glossary during the tournament was of the most entertaining shows the WSOP has witnessed this year. Grinding a short stack for most of the time, Matusow managed to double up countless times to hang in the tournament field, singing a song of his own invention, "On the nub again." Matusow's exit was followed by Gabe Paul's elimination at the hands of Schreiber, who spiked a lucky five-outer on the river to send Paul out in 10th place in an Omaha hi-lo hand. Vornicu, who apologized for his earlier rant toward Schreiber, couldn't stay longer than a few hands on the final table. Schreiber was the nemesis who sealed Vornicu's fate, knocking him out in razz. 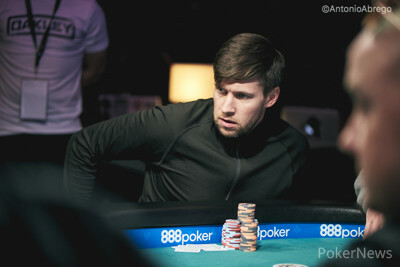 The first two levels at the final table were extremely eventful as Brendan Taylor (eighth for $21,007) and Ryan Hughes (seventh for $28,910) left the tournament shortly after Vornicu. Hanks Honig laddered up several places with his short stack, but he eventually landed in sixth place for $37,892. Schreiber was away from the key hands that proved fatal for the sixth- to eighth-place finishers, but he took most of Ryan Himes' stack in a limit hold'em hand that led to Himes' elimination in fifth place ($52,542). Himes had flopped top pair, while Schreiber held the nut-flush draw and middle pair. He spiked a third nine on the river to win a juicy pot, and Phil Hui finished off Himes in the very next hand. Schreiber handled just over half of the chips in play at the dinner break, and he extended his substantial lead shortly thereafter, taking significant chunks from Tom Koral and David Steicke in stud and stud hi-lo, respectively. While Schreiber was wounding his opponents, he wasn't sending players to the rail himself. Steicke took care of the rest of Koral's chips, only to find himself knocked out by Hui in the following minutes. Hui entered the heads-up as a 3:1 underdog, and he wasn't able to fight back. 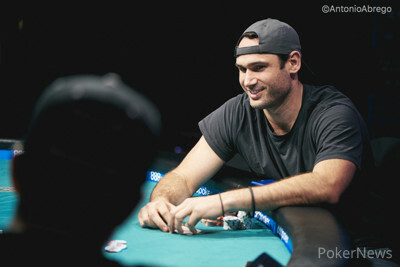 Schreiber won a big limit hold'em hand right away, making top two pair against Hui's top pair. Hui dropped to his last few big bets, and Schreiber's march was soon completed. 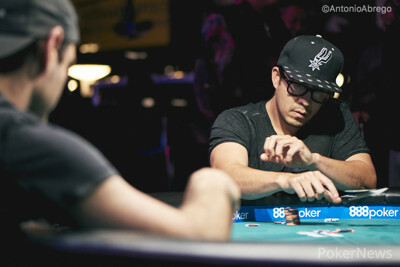 Hui, who already has a bracelet back home, received $158,361 for a runner-up finish this time. After suffering yet another blow to his stack, Phil Hui was down to not even two big bets. Matthew Schreiber was first to act with the showing, and he opted to complete. Hui raised, and the rest of the chips followed shortly after. Hui held four cards to a wheel on fifth street, but he missed his first shot by pairing up on sixth. Schreiber completed an eighty-seven low on sixth street, and Hui needed to hit the river to survive. He quickly flipped his face-down card to reveal the , another pair. "Good game, buddy," Hui said while shaking Schreiber's hand. Hui, who won a bracelet in 2014, missed out on his second one and had to settle for second place this time. 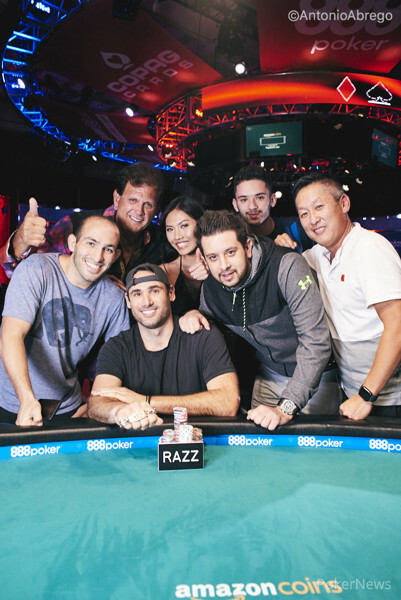 Schreiber fell in the arms of his buddies to celebrate his first WSOP bracelet win. Matthew Schreiber just took another bite from Phil Hui's stack, increasing his chip lead to nearly 11:1. Schreiber was in the big blind, calling Hui's opening raise. The flop saw Schreiber check-raise, and Hui was ready to battle. He called. Hui then paid off two further bets on the turn and the river. Schreiber, however, had the goods with for top two pair. Hui showed his for top pair, and Schreiber's momentum grew stronger once again. Hui's stack is down to less than five big bets, as the wind keeps blowing Schreiber's way. Phil Hui raised on the button, David Steicke three-bet from the small blind, Hui made it four bets, and Steicke called. Both players checked the flop. Steicke bet the turn, Hui raised to put Steicke all in, and the Steicke called. Steicke needed one of the remaining fives to survive, but it wasn't meant to be. The river was the to seal Steicke's fate. The high roller scored his second six-figure cash of the 2017 World Series of Poker after finishing in 12th place in the $111,111 High Roller for One Drop for $310,550. Matthew Schreiber has been capturing one pot after another, and his opponents are approaching the danger zone. Tom Koral and David Steicke seemed to realize they had to make their moves, and they clashed with each other in stud hi-lo. Koral was all in on fourth street. Steicke was ahead with a pair of deuces, and he improved to two pair on fifth street. Koral had four cards to a low, and sixth street determined he couldn't scoop, as Steicke's hand strengthened to a full house. Koral looked at his last card, but it wasn't anything within the required deuce-to-five range. He mucked, shaking hands with all three remaining players. Koral pocketed $74,382 for his fourth-place finish. Matthew Schreiber brought it in with the , Phil Hui completed with the , David Steicke made it two bets with the , Schreiber called, and Hui folded. Schreiber paired up on fourth and led out, only for Steicke to raise again. Schreiber came along with the call. Schreiber check-called a bet from Steicke on fifth street, and both players checked on sixth. Schreiber bet the river, and Steicke called. Schreiber tabled for the wheel, and Steicke nodded and mucked his hand. Schreiber now has more than two-thirds of all in the chips in play. After a series of minor hands, Tom Koral and Matthew Schreiber finally clashed in a pot that might possibly evoke major consequences. Koral completed with the , and Schreiber raised with the . Koral matched the price and called another bet on fourth street before both players checked fifth and sixth streets. Schreiber bet once more on seventh, and Koral called. Schreiber had in the hole for kings up. Koral mucked his hand, which looked to be nines and sixes. Schreiber is now guarding around 3.7 million chips and comfortably navigating the final table. Meanwhile, Koral's stack is wounded, as he's maneuvering only 505,000. Players are on a one-hour dinner break. Current chip distribution can be seen below. "You Gotta Know Who Was Gonna Double You!"